Colorado Peak Politics | FRACKING FRAUD OF 2016: Is This the Week that Fractivists and The New York Times Are Totally Humiliated? FRACKING FRAUD OF 2016: Is This the Week that Fractivists and The New York Times Are Totally Humiliated? There has been much coverage of the epic fail that was the backdoor attempt of zany environmentalists to get two anti-fracking measure on the November ballot in Colorado. The fractivists turned in a bunch of half-empty boxes – while cheering and crying. Such words of acclaim in the paper of record. Unfortunately for the frack banners and the New York Times (but we repeat ourselves), the other shoe fell. “Each petition needs about 98,000 valid signatures to get on. 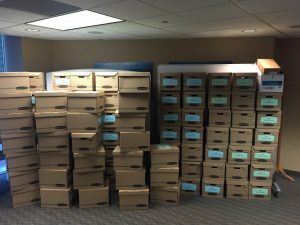 Documents obtained by CBS4 show they have only 105,000 signatures. And with an average rejection rate of about 30 percent, that would mean there are not enough valid signatures to get on the ballot. Empty boxes. Empty science. Empty noise from the green gang that can’t shoot straight. Conventional wisdom is that the anti-fracking measures will get no where close to qualifying for the ballot. Based on how quickly the Secretary of State is processing signature’s on the other initiatives, it should be any day now that the public learns just how badly the anti-fracking folks fail. As we have queried political professionals in Colorado, a number have said initiatives 75 and 78 will likely fall 15,000-20,000 short of the valid number needed to qualify for the ballot.